Recently, I chanced upon a gorgeous brand called Ila, which felt fabulously luxuriously blissful against my skin while calling upon ‘vibrational energies’ to soothe the senses. Developed a handful of years back by Denise Leicester, a Brit who came to India and fell in love with it’s culture, traditions and flowers, it offers up a sensual medley of floral and plant extracts, natural mineral oils and Himalayan salt crystals. The word ‘Ila’ comes from the Sanskrit word for ‘earth’ and there is a sacred place in northern India at the confluence of the Sarasvati and Drishdvati rivers known as Ilayaspada, which is considered to be extremely holy. In keeping with it’s name, Ila is devoted to the ancient practises that respect the sanctity of Mother Earth while calling upon it’s healing energies. 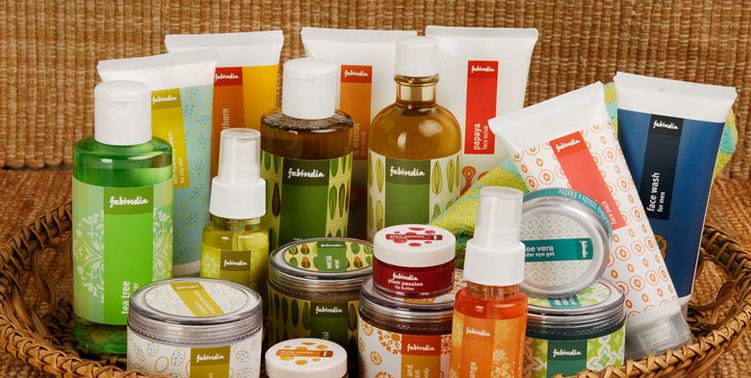 According to Denise, “Everything in our products comes from a plant or mineral – nothing else.” But the brand goes even beyond the merely organic – every single ingredient is not only free from synthetic chemicals but is also sourced directly from local producers who cultivate and harvest them in harmony with nature. For example, the Rose Damascena from India comes from a family that has been growing and distilling roses for many generations according to centuries-old methods. The water is drawn by solar energy, then mixed with petals in copper vats and heated by natural fire-fuel. The spent petals are fed to the cows, completing a cycle that begins and ends with nature. The end result is a distillate of Rose Otto with a depth and a richness of scent that is so potent, I can smell the fragrance and feel it’s silken touch a full 12 hours after washing the Body Balm for Feeding Skin and Senses off my skin! Ila products have garnered a number of awards and are available at premium outlets across the world (including the Four Seasons Spa in Mumbai, which also offers up terrific spa rituals based around the same, for the benefit of Indian connoisseurs). Prices normally start at approximately Rs. 2,000 (or 35 British pounds, depending on which part of the world you are based). Not only does Aveda make gorgeous beauty products that are packed with unique and potent ingredients, it is also one of the rare brands that goes completely out of the way for the greater good. 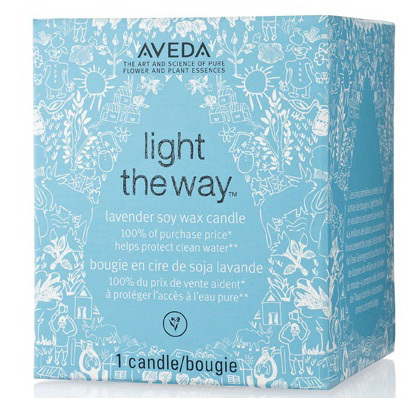 Case in Point: The brand’s Light the Way candle, which is made with 100 percent certified organic lavender, lavadin, and clary sage for a beautiful, stress-relieving aroma. But that’s not all. Every bit of the sale proceeds from these limited edition soy wax candle will go to Aveda’s Earth Month annual campaign, which raises funds and awareness for clean water projects around the world. Not to forget that the pretty, vintagey blue box is decorated with original artwork done by the children of Tilwari in India – a Rajasthani community that has directly benefited from Aveda’s Earth Month fundraising and collaboration with Global Greengrants Fund. So, go ahead. Treat yourself – and feel good about it! 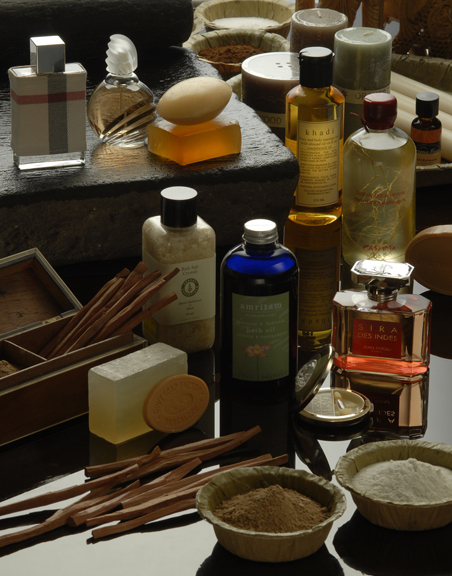 Cooling, cleansing, calming, detoxifying and moisturizing – what could be a better summer treat than beauty products based on Indian sandalwood? It may seem like a total mismatch – the government-run Karnataka Soaps & Detergents and French couture giant Hermès – but the former says it has been inspired by the latter to create an uber-luxe version of it’s iconic Mysore Sandal Soap. Priced at Rs. 720 (approximately €10.60/$14/£8.8) for 150 grams, this is India’s most expensive soap to date – a big step up for the company whose previous soaps cost just Rs. 70. But it’s not just about empty luxury – at the heart of this Mysore Sandal Millennium soap is a whopping three per cent of pure Indian sandalwood oil, whose increasingly limited availability has led to the prices shooting up ten-fold to upwards of $4,000 per litre in the last decade (read more about the problems of the Indian sandalwood industry in this article). So, not only does this soap enjoy all the skin-perfecting and protecting benefits of Indian sandalwood (reduction of acne and stretch marks, relieving inflammation and itching, preventing premature ageing, imparting a soothing, toning and moisturising effect, preventing scars and marks, acting as a natural sunscreen and guarding against hyper-pigmentation to list a few) but is also chock-full of high grade vegetable and floral oils (like jojoba and mimosa), skin conditioners, moisturisers, Vitamin-E, glycerin and hydrolysed milk proteins that are high in amino acids to help skin remain supple and hydrated. The Mysore Sandal Millennium soap, which took three years of Research & Development has been tested for dermatological studies in both India and Paris. It will soon be exported to international markets and might soon be followed by a liquid version. Will you be buying a bar? It’s been referred to as the ‘Fabric of India’ – a perfect label for a brand that’s led the revolution of taking first Indian fashion, then the country’s extensive beauty knowledge and indigenous health recipes across the world. And today, Fabindia – ‘India’s largest private platform for products that are made from traditional techniques, skills and hand-based processes’ (it works with over 40,000 craft-based rural producers) is on it’s way to becoming part of a global empire. L Capital Asia – a private equity fund backed by LVMH and Groupe Arnault – has acquired an 8 per cent stake in this ethnic-wear brand, sparking a plethora of debates: What does it mean for such an intensely indigenous and sustainable practises-based brand to become a part of the LVMH empire, which is seen to be more about luxury and bottom lines? Does this acquisition of a mass-market “fast-fashion” brand (Fabindia is the country’s indigenous answer to H&M and Zara) indicate a shift in LV’s traditional uber-luxe targets? 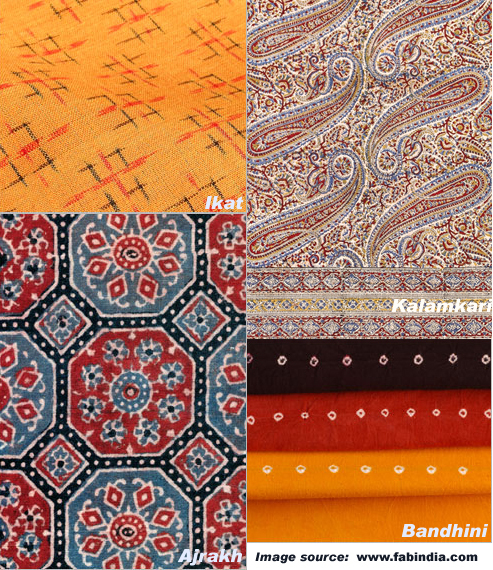 Will Fabindia show a change in direction from it’s half-a-century-old legacy of organic materials, ethnic raw materials, sustainable production and affordable pricing? In short, is this a smart move for LV? And will it corrode Fabindia’s traditional, crafts-driven base or infuse more funds into the brand, thereby increasing scope for growth? In short, is this a step towards the growth or the end of an indigenous, rural crafts-based platform. What do you think?